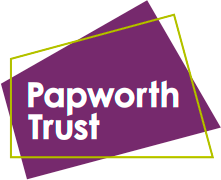 The Papworth Trust have constructed two space-saving bungalows in Papworth Everard in Cambridgeshire. They are an example of how to create accessible accommodation with a focus on the efficient use of space and application of modern technology. They meet the accessibility standards set by Lifetime Homes and Wheelchair Accessible Designs and together, occupy the same plot as a standard 2-bedroom home (69.7m2). Please follow this link to the Trust’s website.